Amb. Affonso Emilio Massot Sr. Bachelor in Law by the Pontifical Catholic University of Rio de Janeiro (PUC-Rio). Career Diplomat certified by the Rio-Branco Institute. Presented his postgraduate thesis of High Studies entitled “Southern Africa. Coordination for Economic Independence and Development: a new dimension of the struggle for liberation”. 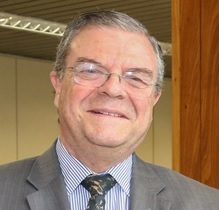 Among other functions at the Brazilian Ministry of Foreign Affairs (Itamaraty), he served as Advisor to the Minister of Foreign Affairs, as General Director of Consular, Legal Affairs and Protection of Brazilian Nationals Abroad; as Chief of Staff of the Minister of Foreign Affairs; and member of the Foreign Policy Council. He was Ambassador to the Netherlands, Czech Republic, Greece, Lebanon and Ambassador at Large for Migration Affairs. He also held diplomatic posts at the Brazilian embassies in Rome, Bogotá, Nairobi, Dar-es-Salaam and Lisbon, where Mr. Massot was also Minister-Counselor of the Embassy, and then, Consul General. He was a Delegate for four years at the III Committee of the United Nations in New York and at the former Commission on Human Rights in Geneva (todays Human Rights Council). Mr. Massot was a member of the Brazilian delegations to the XXXVI, XXXVII, XXXXVIII and XXXIX Sessions of the UN General Assembly, in New York. He also headed several delegations to negotiate international agreements with Great Britain, France, Argentina, Portugal, Paraguay, Uruguay, among others. He was a member of the Superior Strategic Council of the Federation of Industries of São Paulo (FIESP) and is a member of its Superior Council of Foreign Trade. He currently serves as the Municipal Secretary for International Relations at the São Paulo City Hall. Among other decorations received are Great Cross of the Order of Rio Branco (Brazil), Knight Commander of Michael and George KCMG (UK), Commander of the Legion of Honor (France).